Expert cleanup and repair following a storm in Tucson is just a call away. We can quickly and effectively reconstruct your home or business and make it like new. Severe weather can cause serious damage to your home and business. You may need storm damage repairs after monsoon flooding and high winds. Instead of relying on half-steps by untrained workers, the quick, safe solution is storm damage restoration by professionals. Our teams provide emergency services for water cleanup and storm damage restoration here in Tucson and throughout Arizona. Most important, we can completely restore your property to normal use with minimal interruption to your personal life and business. We can handle any disaster, no matter how overwhelming it may seem. 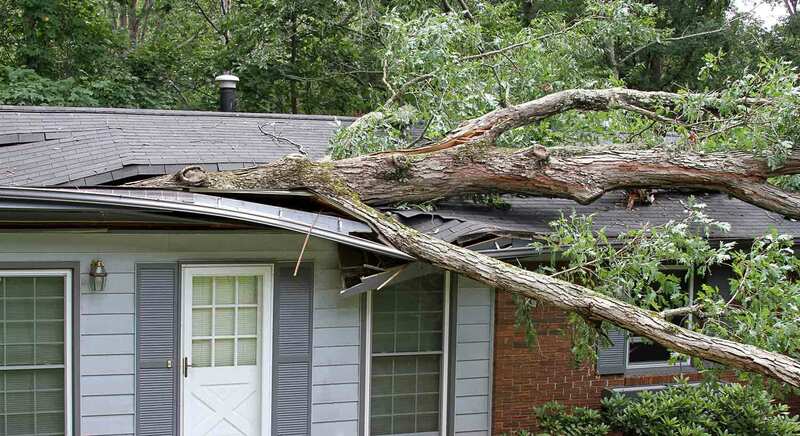 When Mother Nature strikes, you need expert storm damage restoration... fast! After a windstorm or monsoon, every minute counts. That's why it's important to choose Arizona's monsoon repair specialists. We have the most experienced teams, and we also have the most comprehensive training and certification in specialties like water damage restoration, flood cleanup, carpet restoration, as well as sewage and biohazard cleanup. Our response is fast and professional. We work to minimize storm damage and protect your home and business, so life can quickly return to normal. Call 520-322-5326 now for damage restoration. If you're a property owner here in Tucson or anywhere in Arizona, good preparation and planning are always the first step. 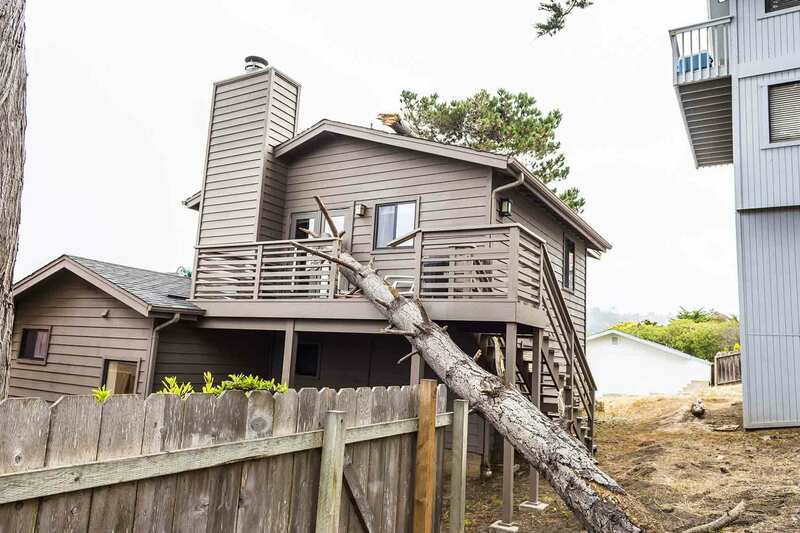 It's always easier to prevent problems rather than needing storm damage restoration later. There are several things you can do to help protect your home and business against high winds and monsoon rains. If your property has a garage door, it may be especially vulnerable to wind damage. Most garage doors don't have the right kind of steel reinforcement to withstand strong winds and monsoons. Poorly-attached garage doors, large windows, signs and other large panels may “fly” during a wind storm. The problem becomes worse when a windstorm creates inward pressure on a large door panel, then any sudden change in wind direction causes a powerful vacuum effect that could dislodge a panel or the entire garage door. The same push-pull effect from less wind can also loosen door fasteners over time. If strong winds are expected, you should check windows and shutters to ensure they're closed tightly – Storms can damage loose or open windows. Don't use tape – It doesn't reduce the chance of wind damage, nor does it make glass break cleanly. The best time to check your roof is when the weather is sunning and calm, before the monsoon season begins. 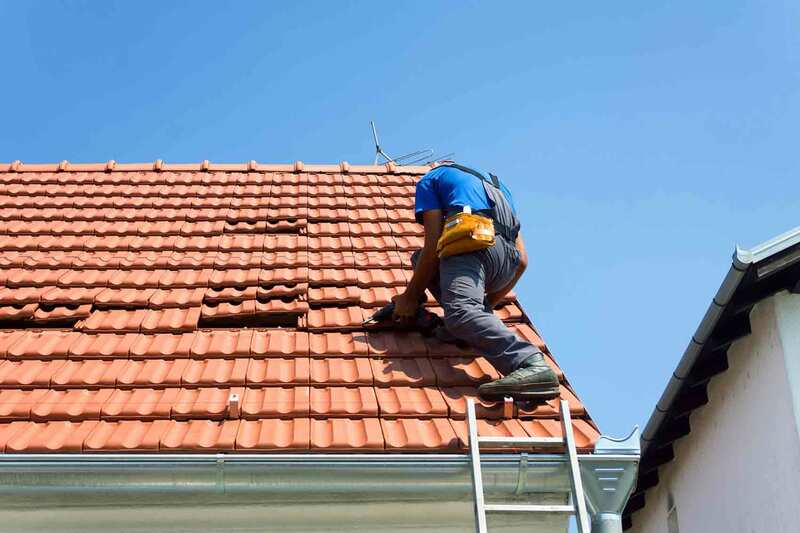 Look for loose or damaged shingles or roofing tiles. Make sure that your roof is sealed tightly, in order to avoid the shearing effect of sudden changes in pressure and direction during windstorms. Identify and secure potential "fliers"
Many items that are thin and flat or small and light will fly during high winds. You should periodically secure and yard items that may cause damage if tossed by wind gusts. Remove any dead tree branches and loose signage. Be especially careful to secure things like patio awnings and pool covers, or anything that might damage a neighbor's property. If your home or business has been affected by storm damage and you need water cleanup and other emergency services, we can help. Just call us now for immediate help! I have called on Quality Restoration twice for flood issues at my house. Both times, we were taken care of immediately and with professionalism and top notch customer service. I will be forever grateful for what they did for me and my family! I called them after 9 pm after 1/3 of my house flooded. The owner Kristy answered the phone and told me she would get her guys out to me within an hour. Ed and Walter were terrific, efficient, professional and funny. They answered all my questions, went above and beyond with pictures for my insurance agency and returned to my house when they said they would 48 hours later. It was a pleasure working with this company and I would recommend them to anyone.